Omar al-Bashir will step down as president of Sudan “soon,” after more than three months of popular demonstrations that came to a head in recent days when protesters in the thousands staged a sit-in outside the national Armed Forces headquarters in Khartoum, according to a Sudanese military source. According to the military source, who spoke to Mada Masr on condition of anonymity, the announcement that Bashir will step down is contingent on the military, National Congress Party, security sectors and Arab backers coming to an agreement on a successor. The source adds that this successor may be an interim president who will serve for several months until a president is elected. According to the source, this announcement is expected to come within the week. 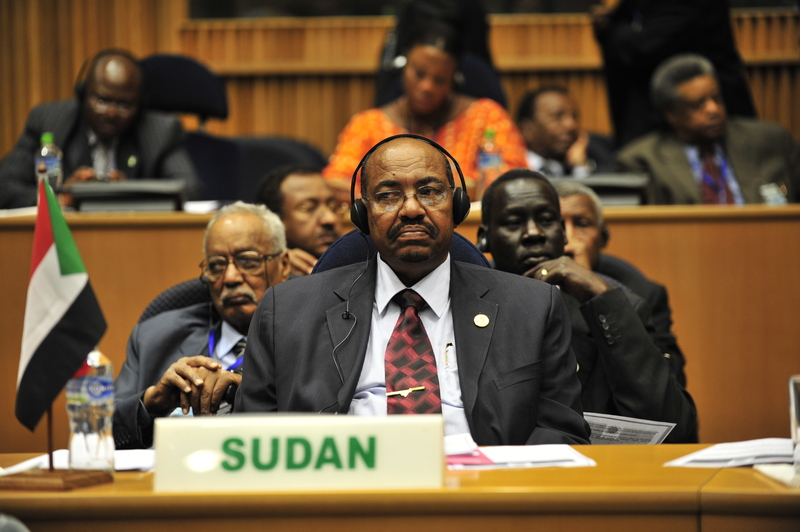 Hassan Ismail, the Sudanese minister of information, denied a report published by news outlets that Bashir was close to handing over power to the military. Protesters remain stationed outside the military headquarters in Khartoum — which also houses the National Intelligence and Security Service headquarters, Bashir’s official residence and the Defense Ministry — and the situation remains “very tense,” eyewitnesses tell Mada Masr. At dawn on Monday, security forces tried to disperse the sit-in by firing tear gas and live bullets into the air, but the military returned fire, pushing security forces back and allowing protesters to resume their demonstration. While the military source says that inner circles of the Sudanese state and international actors are narrowing in on a candidate, the opposition Freedom and Change Coalition announced Monday in a press conference the formation of a committee to engage in dialogue with the military about a transition plan, making it unclear who exactly will fill the vacuum in a post-Bashir landscape.